General insurance companies may not be able to pre-declare package rates in the mediclaim policy document, GIC's senior counsel Mr. Janak Dwarkadas informed the honourable Bombay High Court. 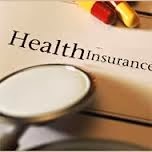 Mr. Dwarkadas told Chief Justice Mohit Shah and Justice M S Sanklecha that it is impossible for insurers to provide standard rates for mediclaim policy. The High Court was hearing a PIL filed by activist Gaurang Damani on medical insurance problems. There are too many variables involved in choice of hospitals and nursing homes and even reaction of patients to different treatment, Mr. Dwarkadas said. To prove his point, he also gave the instance of Ahmedabad, which is promoting medical tourism, saying hospitals actually advertise package rates to attract customers. “In certain cases, they even tell the customer in advance what he is likely to be charged,“ said Dwarkadas.. The court observed that patients are asked if they have mediclaim policy during admission and accordingly charged. An average of general treatment rates could be worked out, the court said.